Get ready to hit the great outdoors with the Cherokee, Arctic Wolf, Grey Wolf, Wolf Pack, and Wolf Pup! These models are lightweight, affordable, and loaded with the latest features. Consider one today for your next adventure. The Forest River Cherokee offers comfort, style, and value, making it an excellent choice for families or even full timers. The Cherokee comes in many RV types, including travel trailers, 5th wheels, toy haulers, and destination RVs, so, no matter what type or floor plan you're looking for, you're sure to find it in the Cherokee. Are you ready for a lightweight 5th Wheel with a stunning exterior that's packed with features? 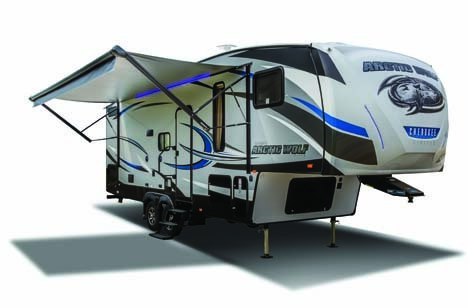 Introducing the Arctic Wolf by Cherokee; an easy-to-tow RV with lots of interior space. The Arctic Wolf is towable by almost every half ton truck and is easy to park. It's an excellent choice to haul to a campsite or take on a family trip. It's time to relax and get away from it all in the Grey Wolf RV by Cherokee. The Grey Wolf is expertly designed with distinctive features and impeccable quality, yet it's affordable, making it a popular choice for the discerning individual who wants the best at a reasonable price. Take the Grey Wolf on your cross-country adventures and enjoy your time with family and friends in the great outdoors. 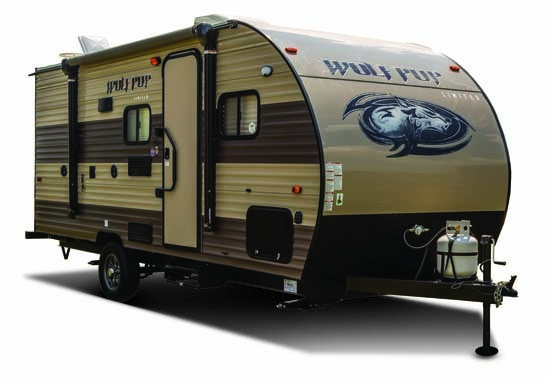 Dominate the pack with the Wolf Pack RV! 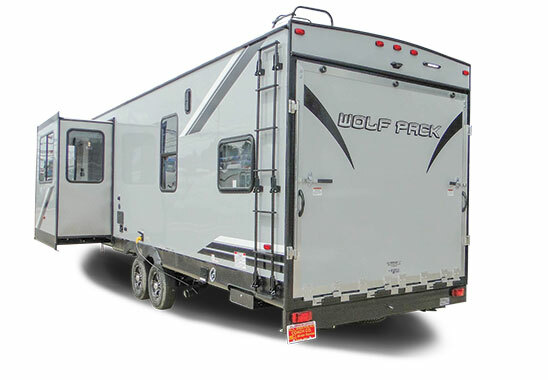 The Wolf Pack is available in many RV types and floor plans, including travel trailers, 5th wheels, and toy haulers. The Wolf Pack by Cherokee offers you the chance to escape the everyday with family and friends. 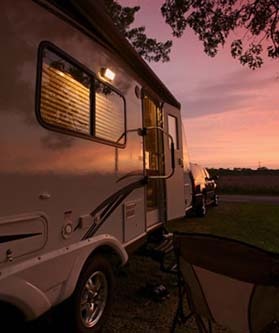 Take this comfortable, spacious RV across the country or to your favorite campground. The Cherokee Wolf Pup is a lightweight, easy-to-tow travel trailer that's perfect for a weekend in the great outdoors. The Wolf Pup is a great choice for active couples who love to explore. With models that offer practical floor plans and plenty of storage, you're sure to find the right Wolf Pup for your next adventure! Ready for a luxury travel trailer? We've got some tips to get you started. 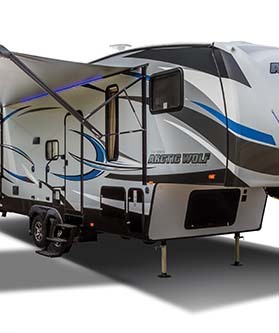 Arctic Wolf is a game changer in the 5th wheel industry! Let's Talk Towing. 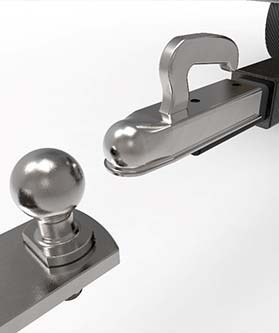 Which RV Hitch is Right for You? Browse our online selection of Cherokee RVs at your convenience or visit our dealership to see your favorite models in person.